Video generated using random clips from my project WORLD, celebrating my 40th birthday. 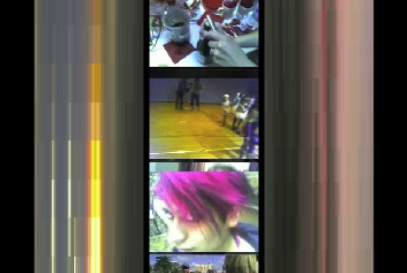 The strips of video were generated using Actionscript and then edited in Final Cut. The piece is silent because it was intended to be projected in a public space. This piece was presented at Sensory Overload 2010, in Tampa.